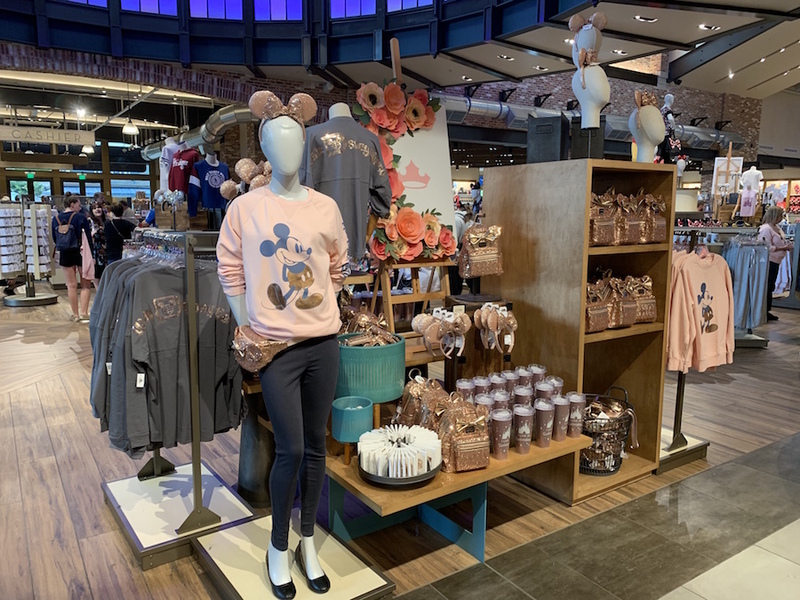 Today at the World of Disney store at Disney Springs the brand-new Briar Rose Gold Collection was released. 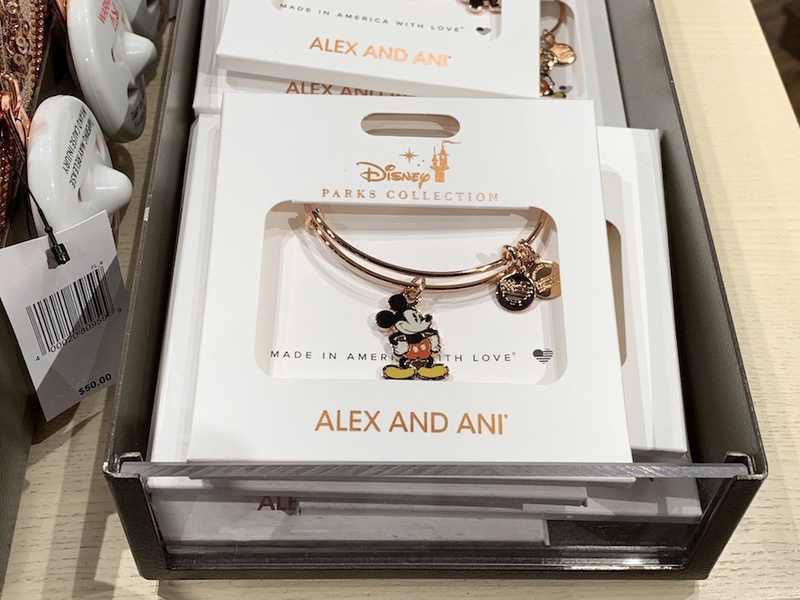 The collection includes several items including a spirit jersey, a Mickey sweatshirt, a Minnie Mouse ears headband, keychains, and more! 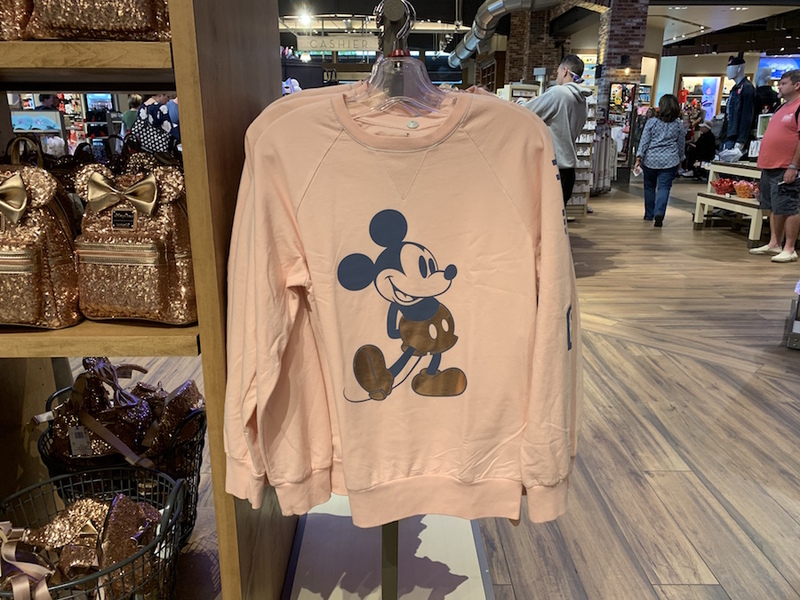 What seemed to be the most popular item was the new Briar Rose Gold sweatshirt, which was flying off the rack faster than anything else. 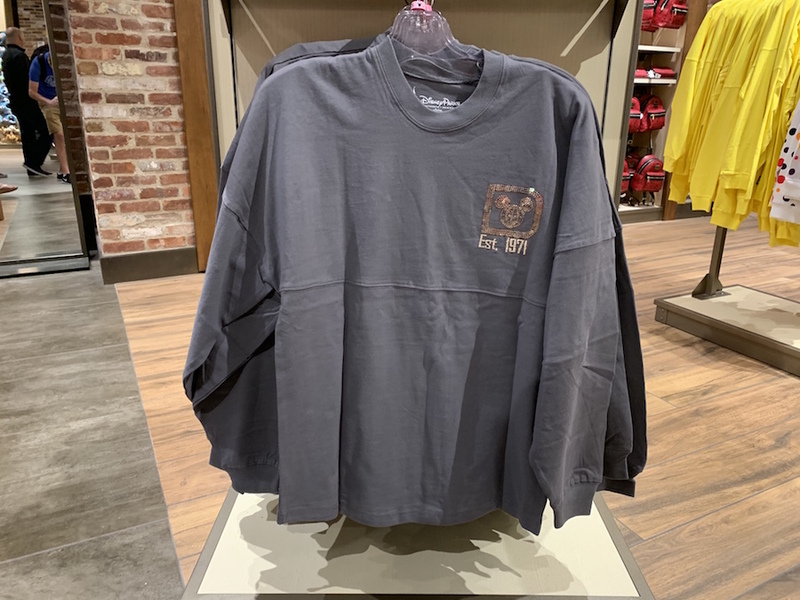 That sweatshirt costs $54.99 and ranges in size from XS to 2XL. Of course with a new merchandise collection there had to be a new spirit jersey. 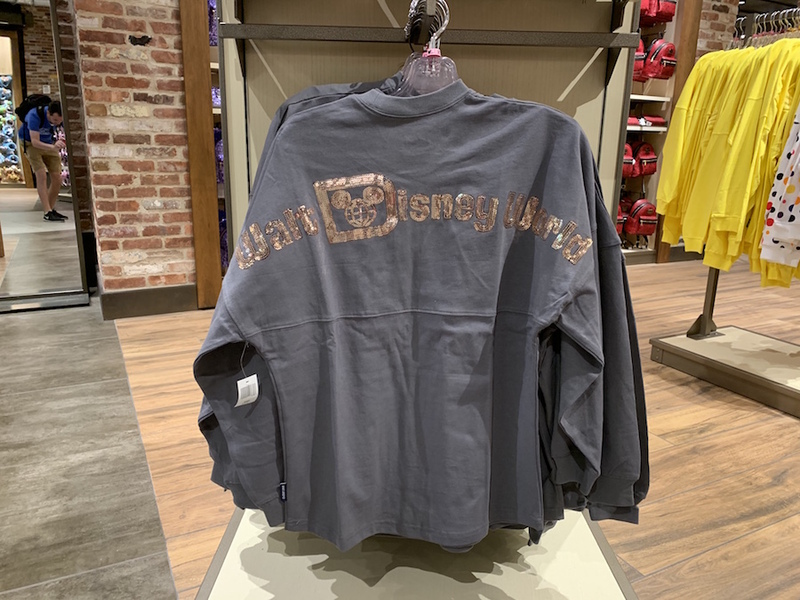 This new grey spirit jersey is adorned with briar rose gold sequins. The new spirit jersey costs $69.99 and ranges in size from XS to 2XL. 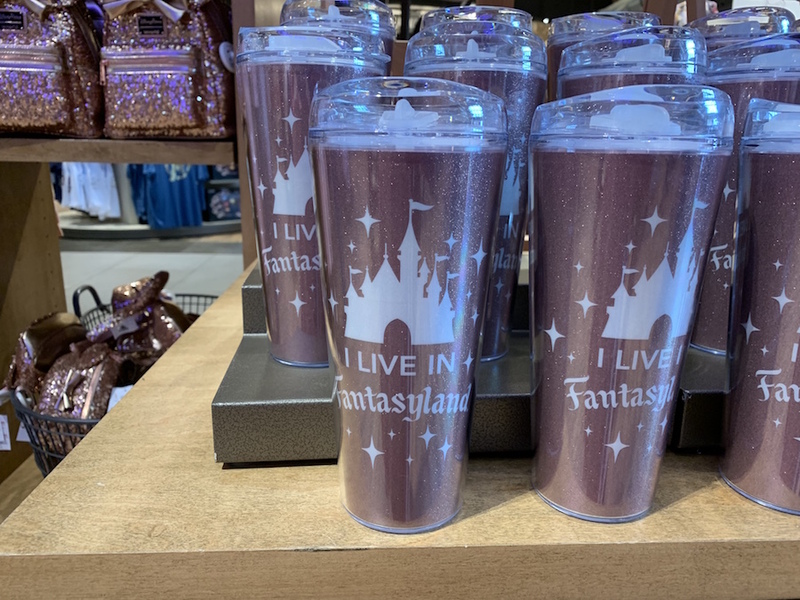 An “I LIVE IN FANTASYLAND” tumbler was also available for $24.99. 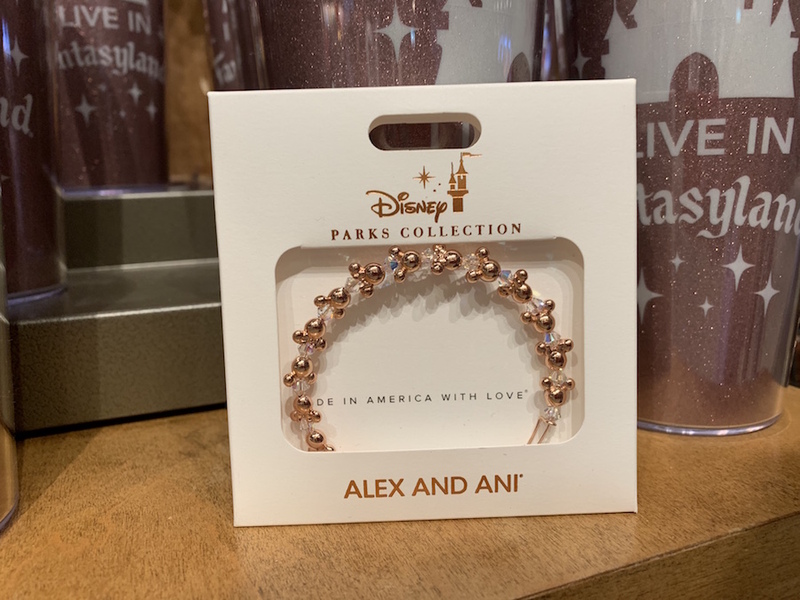 A new briar rose gold Alex and Ani collection was available, and features several different designs. 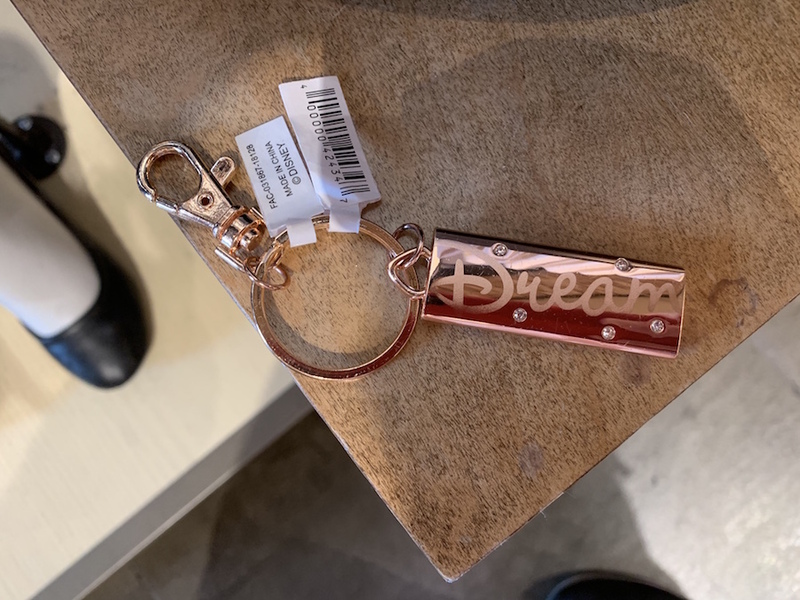 The bracelets ranged in price between $44.95 and $49.95. 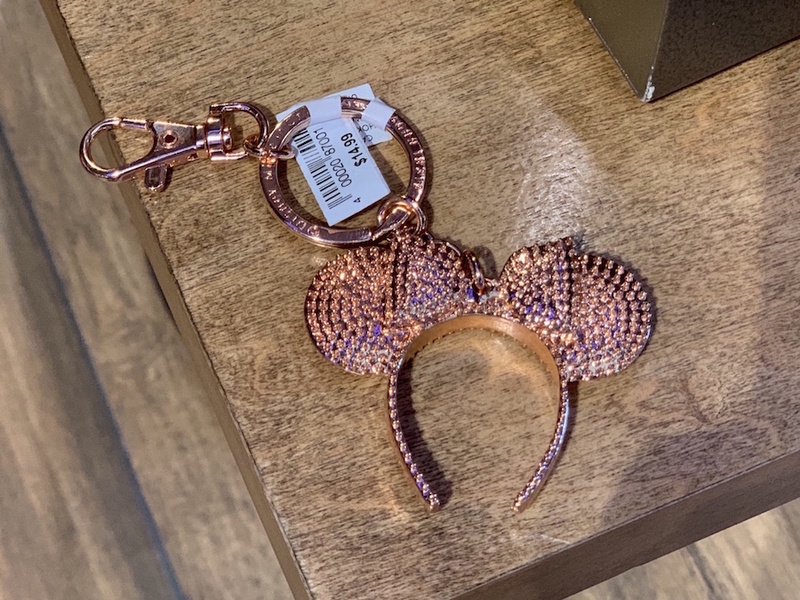 The Rose Gold Minnie Mouse ears headbands that have been incredibly popular for the last year or so, have now been replaced with a brand new Briar Rose Gold design seen in the picture above. The new ears are $27.99. 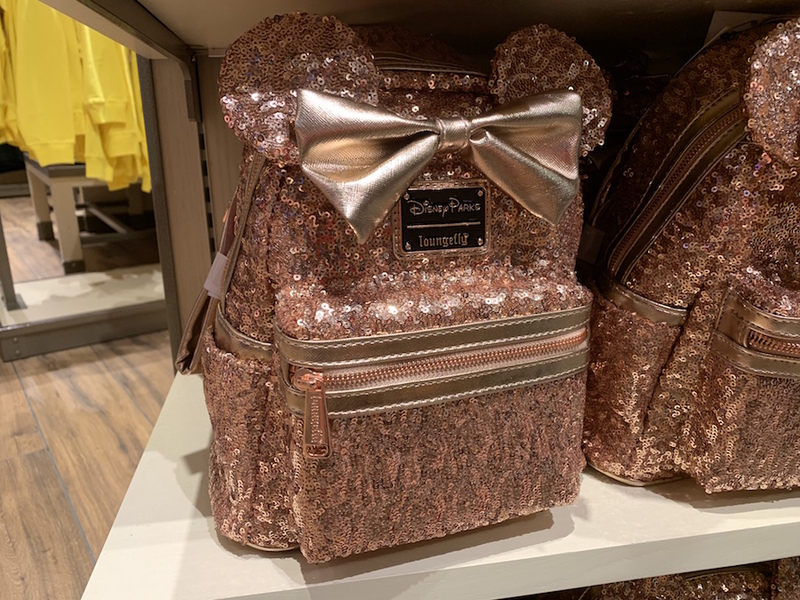 Also on display were the Loungefly backpack, fanny pack, and wallet, but after talking with a cast member it was made clear that these items were technically part of the original Rose Gold collection, not the Briar Rose Gold collection. The Rose Gold collection was retired at the end of March so these items will be available while supplies last. 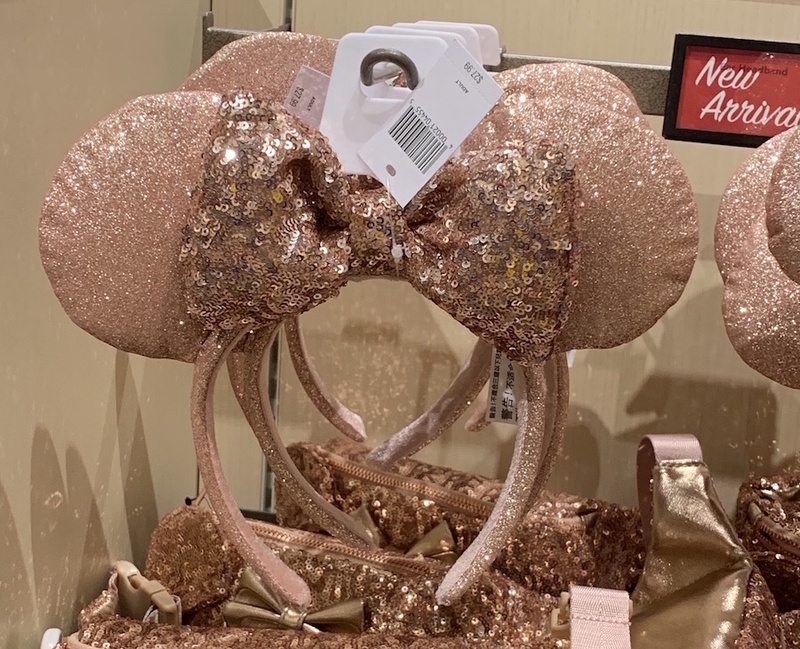 Has Disney’s Rose Gold Craze Gone Too Far?